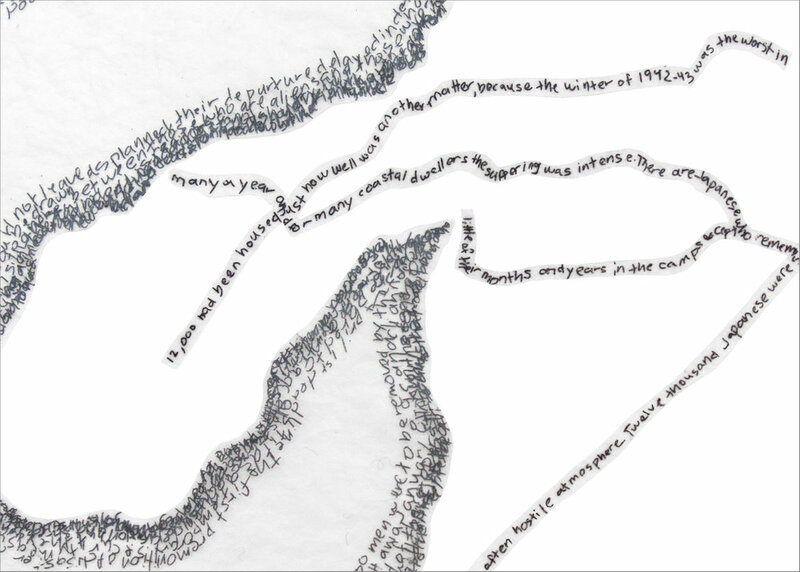 Locating memories, collecting stories and working through all that is not remembered, this work investigates a geography of story and its layered and complicated meanings. 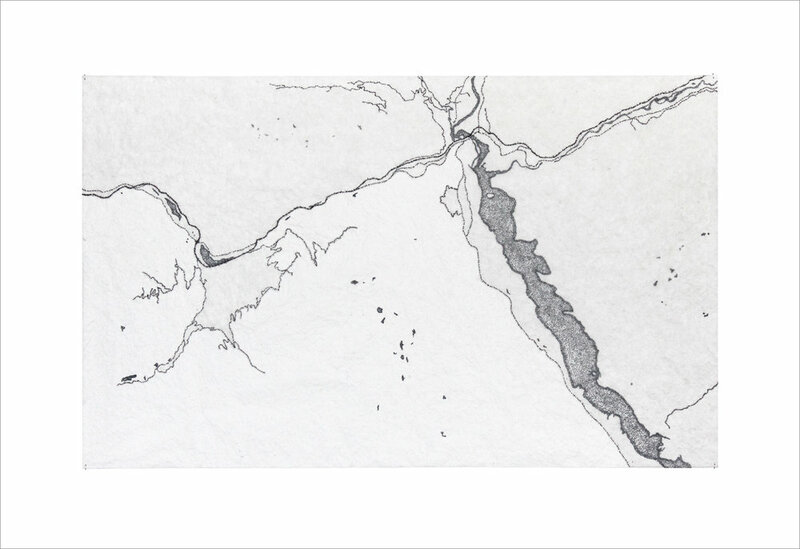 Mapping the spaces and landscape in which my paternal grandparents lived and worked between 1942 and 1947, these prints explore a set of interconnected roads, rivers and lakes within the interior of British Columbia. 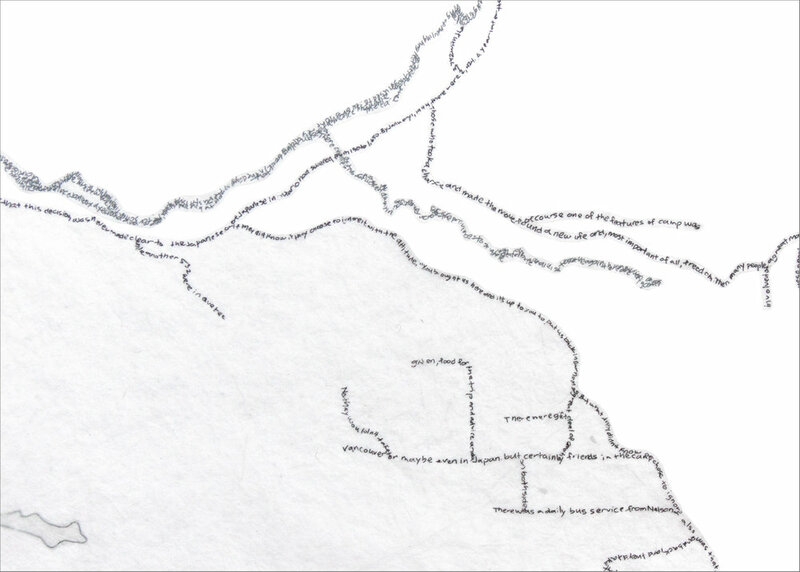 Focusing on several different locations of Japanese Canadian internment camps, the section of road my grandfather was sent to work on during the war years and the city where my father was born shortly after the war ended, each piece flows into the next. 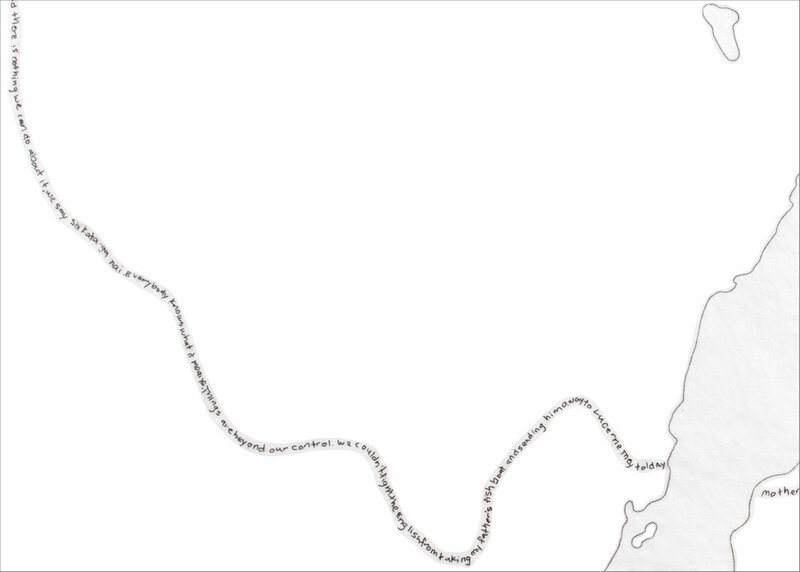 Paths, roads and bodies of water, connect and break away. Fragmented and veiled, they whisper of a story, almost unreachable and unknowable, but there nonetheless. 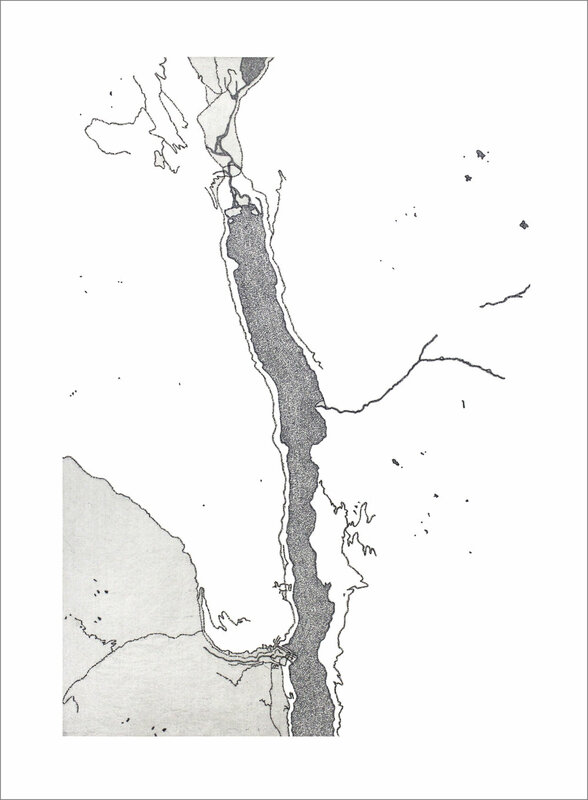 Working with historical and contemporary writings as well as novels that have shaped my encounters and understanding of this time and place in history, these etchings are composed of various passages and chapters of transcribed texts. 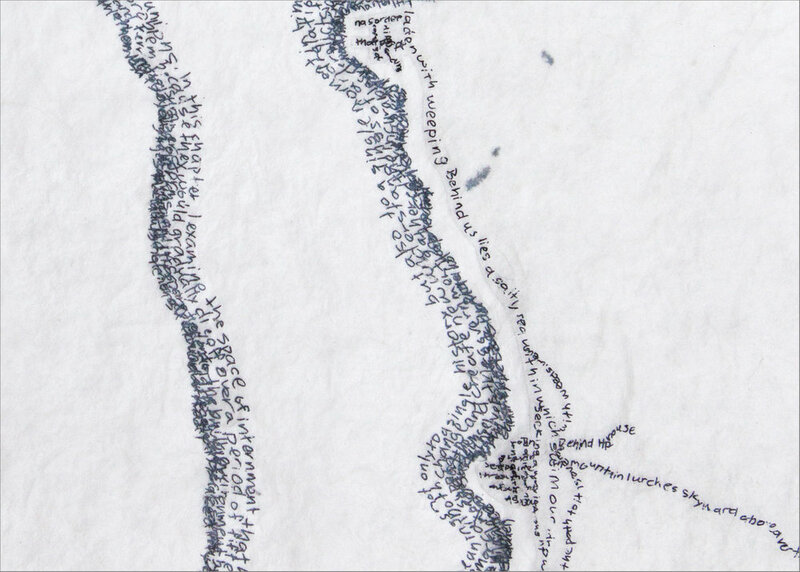 As the geography changes, so do the stories, revealing the historical climate of the day, first hand accounts of the internees experiences, fictional tales, as well as a look at how the landscape was and still is encountered. 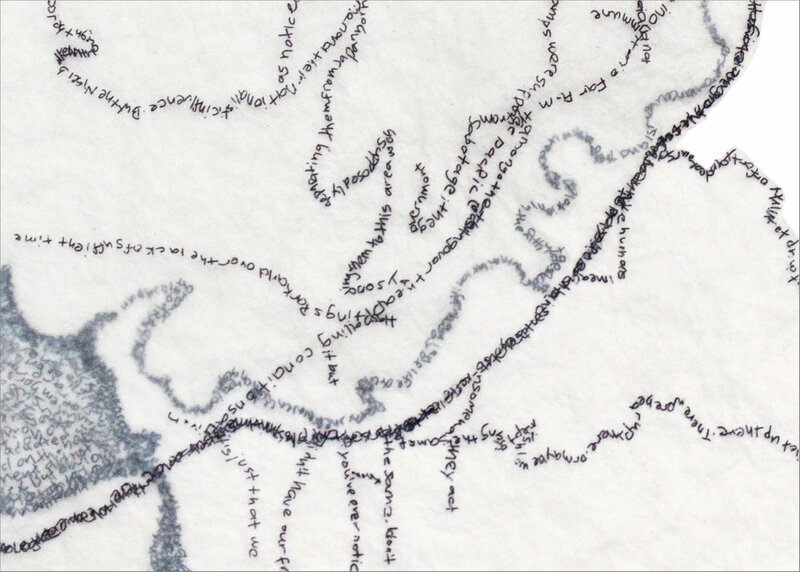 An exploration of the physical map of experience, this work traces different paths, journeys and pilgrimages of three different generations of my family.